Kiwi Simile and MORE! : Creative Steps Feature/Review from Across the Pond! Creative Steps Feature/Review from Across the Pond! Very exciting news! 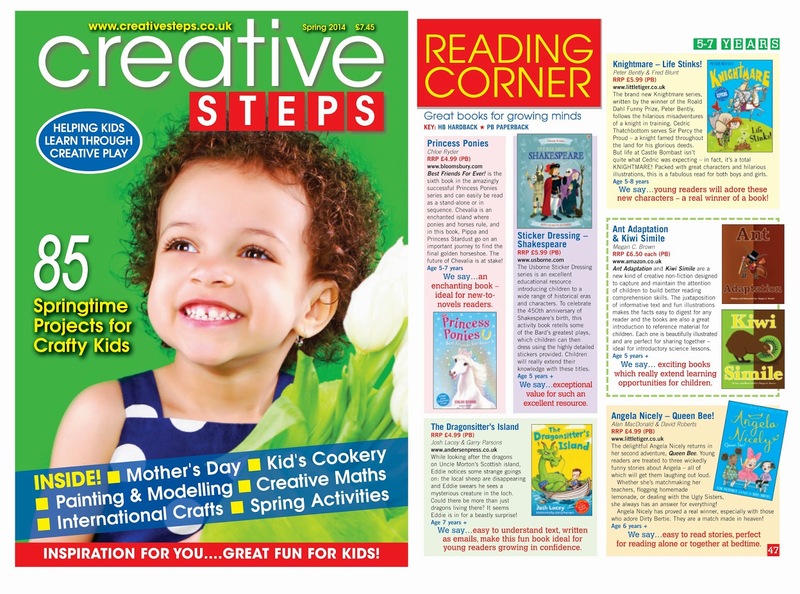 Kiwi Simile and Ant Adaptation are featured in the 2014 Creative Steps spring edition. Thank you, Dawn and John, for including me. Like Kiwi Simile and MORE! on Facebook. Downloadable PDFs of the image.